ZDDP: What does it mean to me? – BG Products, Inc.
ZDDP: What does it mean to me? Although a bit of a sensationalist, Keith is not completely out of line and he isn’t the only Internet auto expert touting the effects of the industry required ZDDP (zinc dialkyl dithiophosphate) decrease in motor oil. Twelve years ago, the maximum ZDDP level in passenger car motor oil was 1600ppm. Over the years, the EPA has slowly decreased the allowed amount to today’s range of 600-800ppm. ZDDP’s primary purpose is to prevent wear in high friction areas of the engine such as camshafts, connecting rods and lifters, which is probably why Keith is so concerned about its decline. Less ZDDP = More engine wear? The reduction of ZDDP in motor oils has caused many issues in flat tappet engines and a big stir in the classic car forum. Most V-8 engines in the muscle car era (cars built before 1975) came standard with a flat tappet camshaft and no catalytic converter. The flat tappet is, for the most part, flat on the bottom. Flat tappet cams are under a lot of pressure and require an extra oil additive for tight tolerances. Oil is the only thing between the lifter and camshaft lobe preventing them from welding each other together. Without sufficient lubrication during break-in and over long-term use, cams can suffer pitting, uneven lobes and severe wear patterns. So, in high performance or classic cars, opt for heavy-duty, performance or racing oils with higher levels of ZDDP that will provide flat tappet cams with anti-scuffing, anti-wear and oxidation inhibition. Ok, so what about your basic passenger car? In the last decade or so, car manufacturers switched to more reliable, efficient roller camshafts for mass production. Because roller cams don’t require the same level of zinc protection as flat tappet cams, passenger car engines can afford a decrease in ZDDP. In fact, less ZDDP could actually be a good thing. Phosphorous, one of the main ingredients, is a poison to catalytic converters (fitted in most passenger cars since the mid-70s). Excessive ZDDP content will bond to the metal catalyst beads inside the converter rendering it useless as a pollution control device. See why the EPA wants to regulate the life requirement of the catalyst? In order to meet API SM specifications, oil manufacturers must decrease ZDDP. Today’s modern passenger car oils contain other dedicated antioxidants to make up for the loss of ZDDP and resulting in a better overall product for consumers. To sum up, less ZDDP is suitable for vehicles with roller cams and catalytic converters and bad for vehicles with flat tappet cams and no cat. BG MOA® uses a combination of additives that improve oil’s ability to withstand breakdown due to combustion byproducts, increased temperatures and loads, and frictional wear. 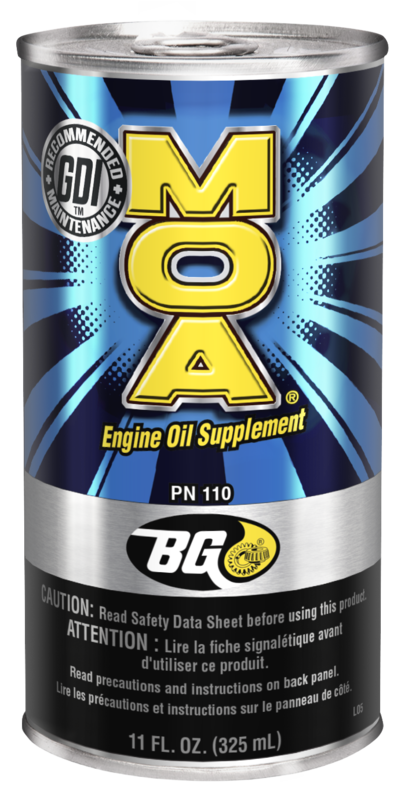 And unlike many other oil additives, BG MOA® does not fully rely on ZDDP as its sole anti-wear additive and antioxidant. BG MOA® relies on its proprietary additives for extra wear protection and oxidation stability under severe condition, like that of engines with flat tappet cams. For cars with catalytic converters, BG MOA® only contains ZDDP to a similar concentration as a typical base engine oil, which is not enough to ruffle a cat’s fur. If the cat already stinks, it doesn’t necessarily mean it’s poisoned by ZDDP. Chances are hydrocarbon deposits from combustion have plugged it up. And a dirty cat can pump noxious gases into the air and reduce engine performance. For extra protection of the catalytic converter and oxygen sensor, pour in a can of BG 44K® in the fuel tank every 7,500 miles. 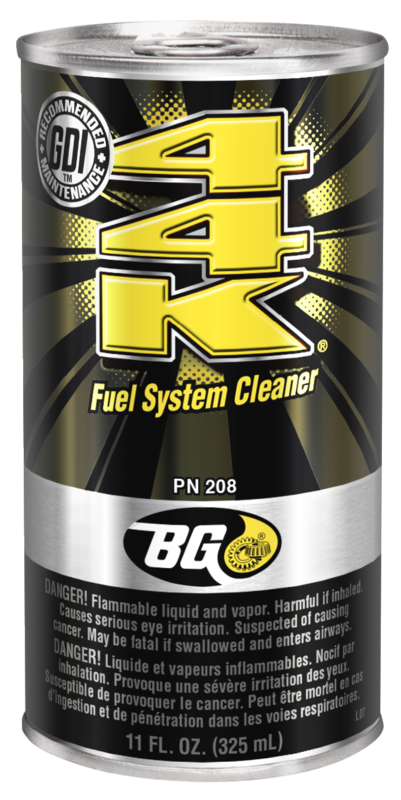 BG 44K® is proven to restore converter efficiency and remove deposits from the oxygen sensor ultimately restoring power and performance. So the next time you hear someone like Keith yelling, “Oil is killing our cars!” recommend BG MOA® for superior lubrication and wear protection of the engine’s moving parts- even flat tappet cams.